About 1 in 12 men are color blind or color deficient, so it’s safe to say that there’s a good amount of color blindness in the video production industry. But what can be done about it? 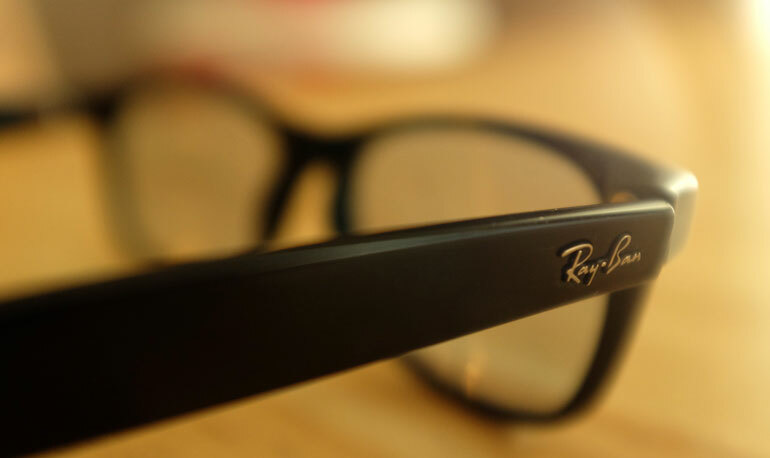 Can Enchroma eyeglasses really help professionals? Most people would assume if you’re color blind, you ought to avoid careers that require color judgment. It’s especially true for occupations that are hazardous, like flying an airplane, but even common tasks like reading green/red light indicators on electronics can be difficult for color blind individuals. No matter what you do, it’s impossible to avoid color judgment as a part of just about any job. And for the most part, color blind people have to figure out a way﻿ to deal with their deficiency on an everyday basis. So if they have to face questions of color no matter what they do, why is it surprising that color deficient people specifically seek color intensive occupations in the creative industry, such as illustration, photography, videography, and video editing? In fact, in some ways the creative arts makes it even easier to hide color deficiency in plain sight. Most graphics software have color pickers, histogram guides, RGB parades, vecterscopes, and so on. But more importantly, photography often encourages unrealistic color tones and saturation levels anyway, so it’s quite normal to create images that are way outside the spectrum of accurate color tones. TL;DR: Enchroma color blind glasses are giving color blind people a way to see colors they’ve never seen before, often an incredibly emotional moment for those suffering from color deficiency. 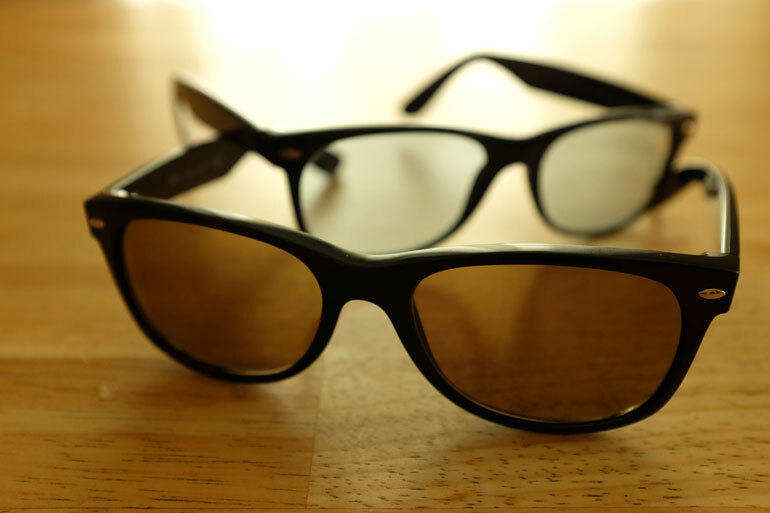 But with the indoor, computer specific lenses, Enchroma eyeglasses can now assist color deficient video producers, photographers, and video editors with post-production color accuracy, especially with skin tones. Now that we’ve made a case for accepting color blindness in our industry, let’s take a step back and be a little more realistic about the color demands in video production. In the process of shooting fast paced documentary and corporate video production, there are only a handful of times when you really have to judge color. During general b-roll scenes, you’ll often have to change the camera’s white balance to match the scene, but how many unique white balance situations are there in everyday shooting? When you’re outside, you’ll basically have to choose between either daylight - or around 5200-5600 Kelvin - or cloudy or 6000K. Yes, sunrise and sunset are much warmer, but you can still get away with shooting at daylight kelvin for the brief golden hour. And for exterior night time shots, the mix of street light colors with car headlights and so on makes it unlikely that you’ll ever match the exact kelvin value of outdoor lights, so again, sticking with 5200-5600K will get you by. There are exceptions of course, such as if you’re shooting in controlled lighting conditions for both documentary or narrative videos, and you can take the time to match the color of your surrounding lights, even if they’re practicals. The other exception is if you know your camera’s preferred daylight white balance tends to fall somewhere around 5100-5300k, which means that will become your default exterior white balance. At any rate, outside shooting is not complicated. It’s when you get indoors that white balance becomes a little trickier. In most cases, you’ll find a room’s primary lights will be around daylight or 5600K, flourescent or about 4000K, or tungsten or about 2800-3200K. But it’s when the interiors have a mix of those lights that you run into issues. That’s when you have to use either your eyes or a tool to judge the white balance of the room. You can either set the camera to Auto White Balance and let it decide the midpoint of the room’s light colors, or you can use a white or grey card for more accurate white balance. Or if you trust your camera’s monitor, you use your eyes to quickly determine a close enough white balance based on the white areas in the room, such as walls or ceilings. Trusting your eyes is never perfect, and that’s especially true for color deficient camera operators, but because the mixed lighting will never look as good as a single color source, you usually have to just take what you get and hope for the best. One thing to note, all cameras will render colors differently, and the in-camera color profiles, gamma and color space settings will also affect the output. So it helps to become familiar with how your camera and color profile captures an image in certain lighting conditiions. For us, when we shoot with the Canon C100, for example, we know that in daylight exteriors the camera shines at 5600K. 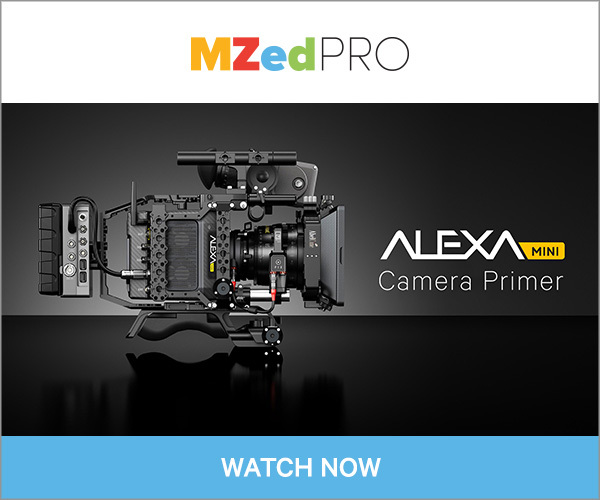 The image is beautiful whether we shoot with C-log or the Wide Dynamic Range color profile. But with mixed indoor lighting, the C100 mark I skews considerably toward yellow. So after shooting with it for hundreds of hours over the last few years, we know that if we look at the C100’s LCD screen and the scene looks to be about 3200K, it will capture an image that is about 400K too yellow compared to other cameras. So we adjust accordingly. If on the LCD screen we judge the scene to be about 3200K, we set the white balance to 2800K. Now the image will look quite blue, but we know from experience that it will record a much more accurate image this way. Each camera is different, so it pays to shoot with a new camera a few times before you take it on a paid project. So now we come to the part of most documentary and corporate shoots where you actually do have a degree of control - the interview. 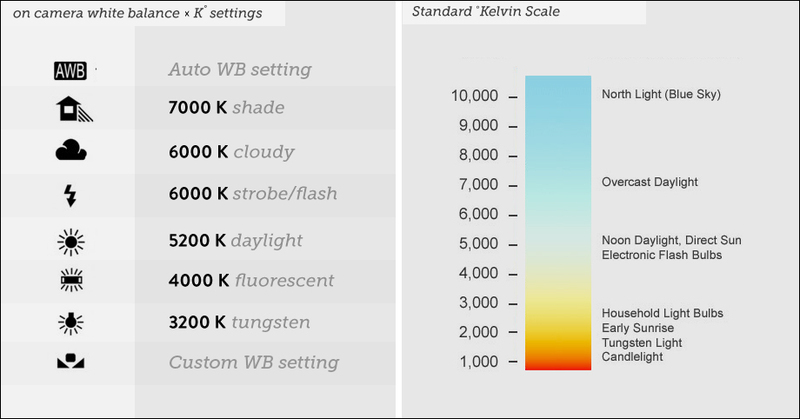 If you can kill all the available lighting and only rely on your professional lights, then all you have to do is match your lights to each other and set the white balance to their kelvin rating. But often you’re working with multiple light manufacturers and products, each with a slightly different color variation (and sometimes major differences). Plus you’re most likely also battling available lights that are either tungsten, flourescent, or daylight, or the worst possible scenario, a mix of all three. So in even the most controlled part of a shoot, a videographer will have to use his or her visual judgment to determine what looks good. That can be hard to do when you’re also focusing on setting up audio, framing, adjusting the background, and chatting with the client and/or subject throughout the whole process. Sooooo sometimes you end up with a less than perfect color accuracy, and you’ll just have to deal with it in post-production. This is where you’ll thank yourself later if your camera can shoot in 10 or 12 bit color, giving you more flexibility with tone adjustment. 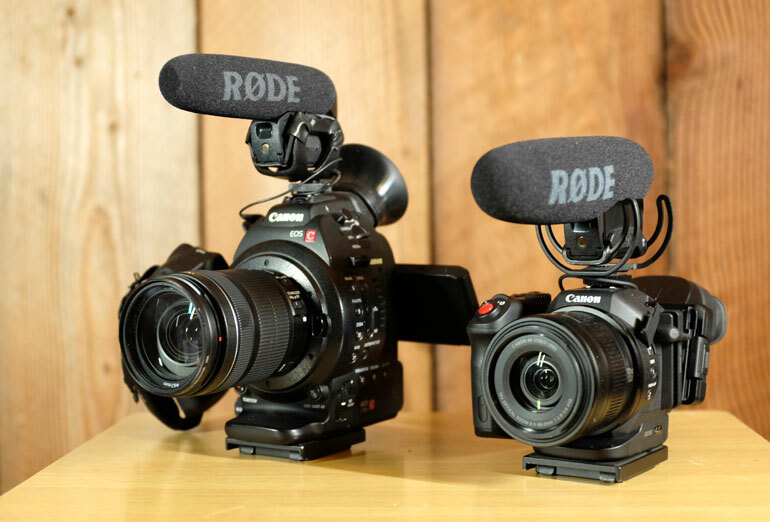 It's why we shoot with the Canon C300 mark II even though none of our clients care or ask about what camera we use. It captures a lot of color information, so even if you make a mistake, you can make a lot of adjustments in post. 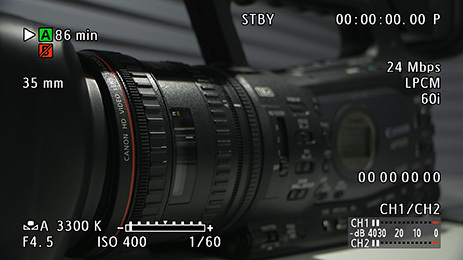 The new, more affordable Canon C200 has even more ability to adjust white balance with RAW recording. 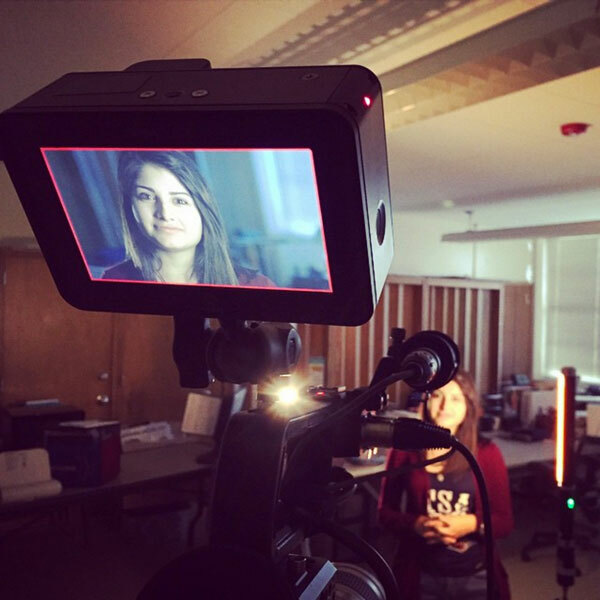 The part of video production where color judgment comes most into play is when you’re color correcting or color grading for proper exposure and accurate skin tones. You do that before you start to play around with grading effects, film emulation, or other effects that are layered onto the image. This is where a color deficient video editor will run into the most difficulty. Sometimes it’s really hard to see minor color casts from poor lights, or mixed color environments, or an incorrect white balance. Sometimes the room’s space, the subject’s clothing, or nearby objects can project varying colors onto the subject’s skin. There can be fine color errors that require precision judgment. The deficiency that color blind individuals face is a decreased number of color variations or contrast perceived. So where a fully able person might see a million colors, a color blind person might see 100,000. More importantly, it’s the differences between the individual tones that can be difficult to perceive. So a color blind person may easily see bright green, red, yellow, blue, and so on, but for a more muted yellow-green tone, for example, it could be impossible to tell whether it’s yellow, green, or perhaps a color farther along on the tonal spectrum. Essentially, it’s the skin tones captured in difficult lighting environments that frustrates color deficient video editors the most. So can Enchroma eyeglasses aid color deficient video editors? Or are they only for non-professional individuals who want to enjoy a little more color in their life? Enchroma started out in 2010 when a mathematician and a scientist collaborated on an innovative laser safe glasses for surgeons. Coincidentaly, they noticed the lenses had a profound effect on people with color blindness. Since then, they have succesfully moved Enchroma into the consumer world with both ready made glasses and custom lenses for customers worldwide. So how does it work? 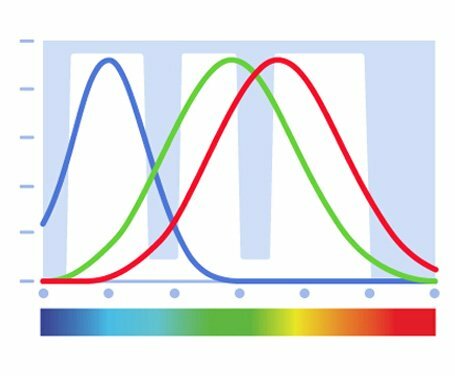 An individual with red-green color blindness will have difficulty telling red and green colors apart - the red and green pigments in their retinas have more overlap, because there are less sites that are receiving color information. What Enchroma researches did was target specific photopigments, and then blocking those wavelengths of light completely. The “multinotch” filtering essentially creates hard seperations between the overlapping red and green cones, which then makes the red and green color information suddenly more intense or visible to the color blind individual. 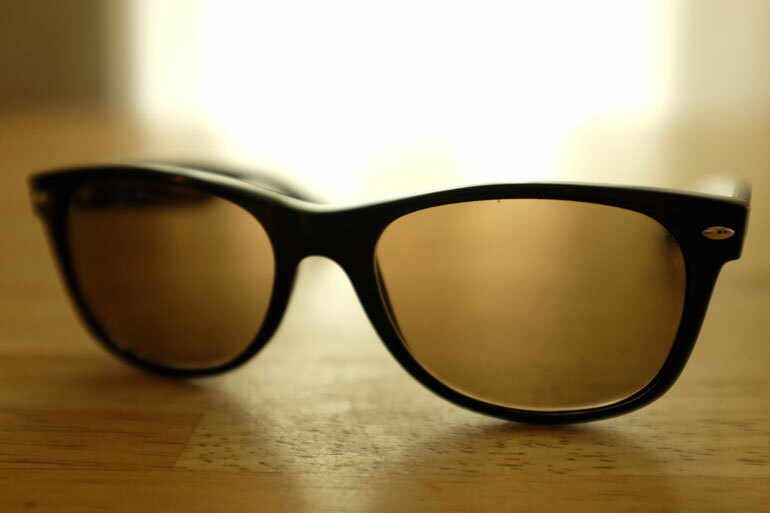 Because the glasses have to cut out wavelengths of light to work, Enchroma eyeglasses lenses reduce the amount of light reception overall, just like sunglasses. So naturally, Enchroma markets their lenses as eyeglasses for color deficient individuals. 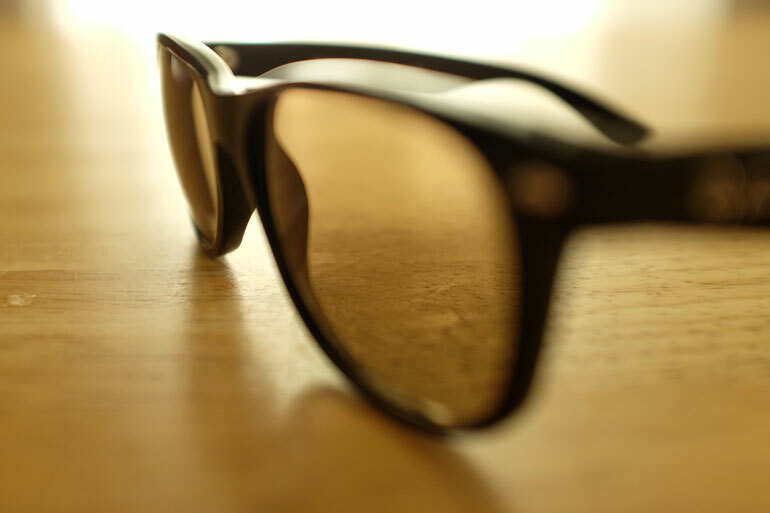 Initially, Enchroma offered two strengths of outdoor sunglasses. The original lens created the most powerful experience for color blind people, but it also cut out a lot of light and was recommended only in bright outdoor conditions. After that, they offered a lighter lens, which would work well for daylight hours in cloudy, overcast, or darker climates, which is to say, most places outside of California. These glasses would also work ok in bright, indoor scenarios, which would mean people could wear them at home, at school, at work, and so on. Of course, the effect was less pronounced, but the medium bright lenses were much more practical. Finally, Enchroma came out with a lens designed specifically for indoor use, especially for looking at computer screens, TVs, phones, and so on. These Enchroma eyeglasses have become insanely popular, since most people spend the majority of their time indoors, whether they’re reading or writing, using a computer, cooking, watching TV, shopping at a store, or spending time with friends and family. In these everyday scenarios, being able to see more intense color has persuaded many people to wear these glasses nearly full time. More importantly, the indoor lenses has enabled color blind individuals to take Enchromas into the everyday workplace. And for videographers and video editors, they are game changers. Today, Enchroma sells a variety of frames, as well as custom lenses to fit any frames a person sends to Enchroma, but the lenses only come in two flavors, outdoor or indoor. The outdoor lenses are sunglasses that can be used in various lighting conditions outdoors, as well as bright indoor environments, which leads us to believe they are a newer version of the older, medium-bright lenses. 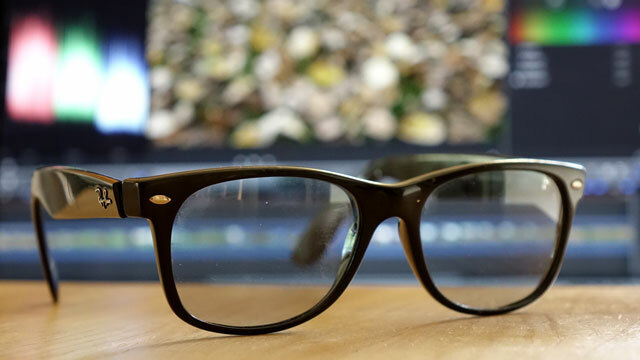 The indoor lenses are the same formula as the original indoor lenses, and Enchroma suggests them as a complimentary pair for individuals who really love their outdoor glasses. It’s one thing to see the outdoor world in an entirely new level of color saturation, but it’s another to put on a pair of Enchroma eyeglasses to look at a computer monitor. 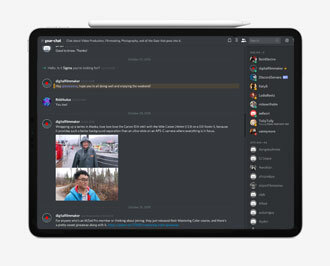 The fact is, anyone can easily change the color space of a computer monitor, or phone or tablet, and make it more yellow or red or green or blue. You can also increase a photo or video’s saturation level to boost up the color contrast. So why are Enchroma indoor eyeglasses valuable for people who work on computers? Well for one, it’s a little risky to edit color sensitive photos and videos on a monitor that’s purposefully uncalibrated. It would be one thing if an iMac came with a preset, for example, made for Red Green color blind individuals. But monkeying with the color settings yourself in order to try to match what your colleagues and customers see - that’s unlikely to end up working out. The other thing is that we all slowly acclimate to various colors and lights in front of us. You could be staring at a super yellow screen for a couple hours, and soon you won’t even notice the difference until you turn the effect off. 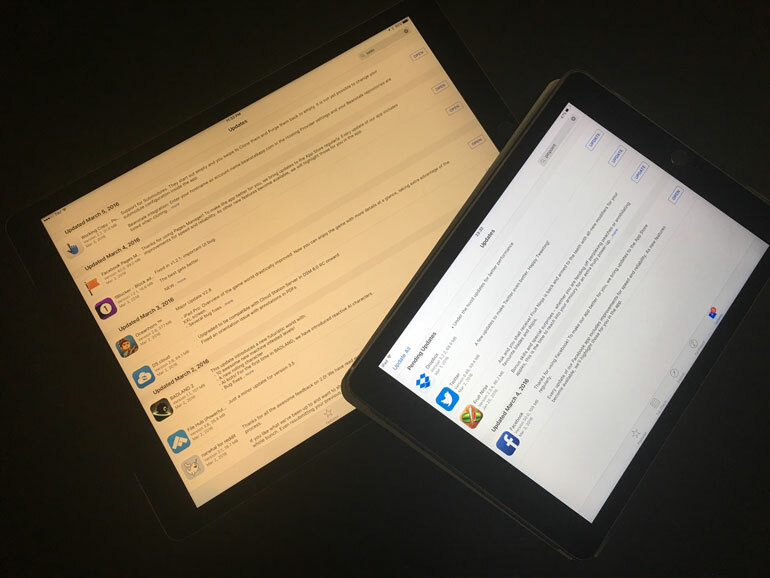 This happens quite a bit with the new laptops and tablets that have night shift modes, where the screens become more tungsten at night to better match our circudian rhythms. That’s why Enchroma suggests that wearers avoid doing A-B testing with their glasses, by putting them on and taking them off. That’s not a good way to appreciate the effect. Instead, it’s best to let the lenses slowly adjust how your eyes receive color information. 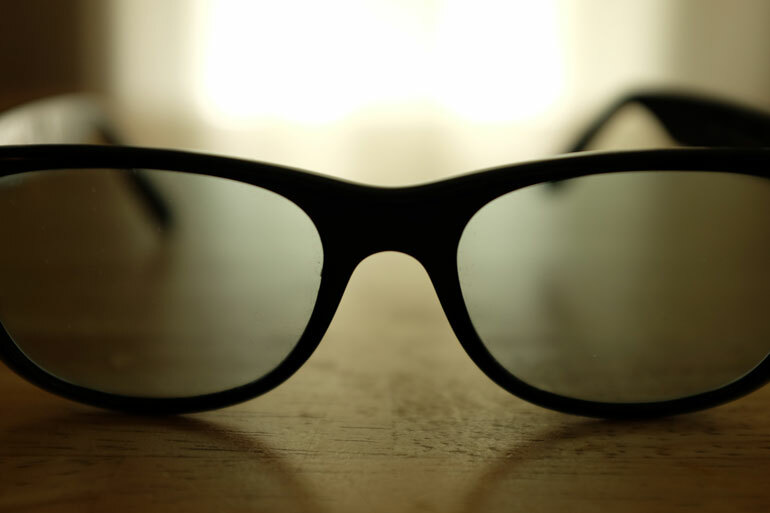 In the video editing world, this would mean putting the indoor Enchroma glasses on whenever you’re editing at all. But more realistically, it’s better to reserve the glasses for those times when you’re color correcting, or working with color sensitive media. That way, you can be more aware of what your eyes normally see, and what your Enchroma lenses shows you, and then you can decide the best route to take for working with skin tones. It’s important to note that Enchroma eyeglasses won’t help you see more colors than you see now, so you won’t be able to pass a color blind test that you typically fail. The glasses might help you notice the contrast between colors in those tests, but for the most part, they will not perform miracles. They will, however, help bring forward a lot of faint color tones that you might not otherwise notice when editing photos or videos. And that’s when they’re really helpful, during those times that color able colleagues ask you if you can reduce the slight magenta on the subject’s skin tone, for example. Enchroma eyeglasses don’t work for everybody, so it’s best to first take a color blind test to determine if they’re a good fit for you. If you’re set on giving the glasses a try, Enchroma offers a generous 60-day return policy for all their glasses. There’s a variety of frames, and each of them have different backorder and shipping statuses, but it’s worth a shot if you’ve lived with color blindness your whole life. And for those of you who can’t imagine wearing anything but Ray-Bans, for examples, Enchroma will fit custom lenses into any frames you send them. They can also add prescription lens correction.